It’s a common misconception that tree trimmers and certified arborists are one in the same, but when it comes to planting, pruning and caring for your trees, not all tree care services are created equal. In fact, there are several important distinctions between certified arborists and tree trimmers that every property owner should understand. While both typically offer tree pruning, as well as planting and removal services, only arborists are actually trained and educated to protect tree health, and properly care for and plant trees. Certified arborists must complete a rigorous certification program with the International Society of Arboriculture (ISA) and pass a demanding exam. As part of their training, they receive education in tree biology, as well as an understanding of proper growth patterns and ideal climates for optimal tree health. Tree trimmers without an ISA certification often lack formal training in tree biology and disease, and have limited knowledge of local species. The health, appearance and lifespan of a tree depends largely on how it is planted and pruned. Certified arborists are trained to plant trees at correct depths and provide ideal growing conditions for saplings. They also receive extensive training in proper tree pruning techniques and use ANSI A300 tree cutting standards to remove dead branches, stimulate growth and promote tree health. Tree trimmers without an ISA certification may not know the proper depth for planting trees of different species, or they may over-prune, both of which can damage and even kill otherwise healthy trees. Certified arborists are trained in tree hazard assessment and can often identify signs of disease or decay even before they are visible. They are qualified to assess the risk potential of personal injury and property damage, and are trained to wear personal protective equipment and perform all work under strict safety guidelines. Tree trimmers without an ISA certification may not be able to identify risk factors, or they may fail to use proper safety procedures, potentially causing injuries and damage. Many commercial property owners now require that only certified arborists handle their tree care services in order to reduce liability issues. Only certified arborists have the ability to guide the protection of trees during land development. In fact, many municipalities now require that a certified arborist is consulted during construction projects. Certified arborists are trained to evaluate existing trees on a job site and work with the developers, civil engineers and landscape architects to create a tree protection plan. Unlike tree trimmers without an ISA certification, certified arborists can also make site-appropriate tree planting and pruning recommendations that add beauty, value and economic benefits to a site. When problems or questions arise about trees and tree care, it’s always best to consult the experts. 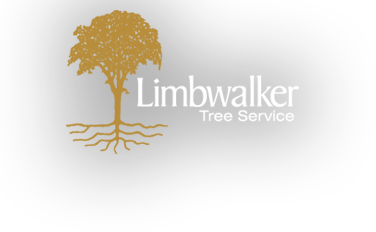 To speak with a certified arborist in Vermont, call Limbwalker Tree Service at 800-559-0422 or contact us.